immunisations free of charge to eligible patients. concerns, Bellbowrie Family Practice can take care of you. For Online bookings, please click the button bellow. You can also book by calling us on 07 3202 5360. If you are a first time patient, print and fill out this form, alternatively please come in five minutes early to fill out the form. Please note we are closed 24th, 25th, 26th December & all Public Holidays. Other days are per our normal times. 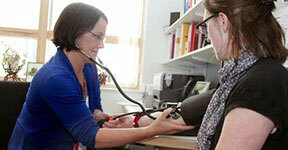 At Bellbowrie Family Practice, delivering outstanding patient care is our number one priority. With a full range of medical services and bulk billing available for Medicare card holders, we are committed to standing by our six core commitments of quality, innovation, teamwork, service, integrity and compassion. Our team of family-friendly Bellbowrie bulk billing doctors have the experience, dedication and compassion required to put you at ease. Bellbowrie Family Practice is open Monday to Saturday and is located in the Bellbowrie Shopping Plaza off Moggill road, with ample parking available. Our South West Brisbane location is only a short distance away from Anstead, Moggill, Pullenvale, Riverview, Kenmore, Karalee, Riverhills, Barellan Point, Pinjarra Hills, Jindalee and Karana Downs. 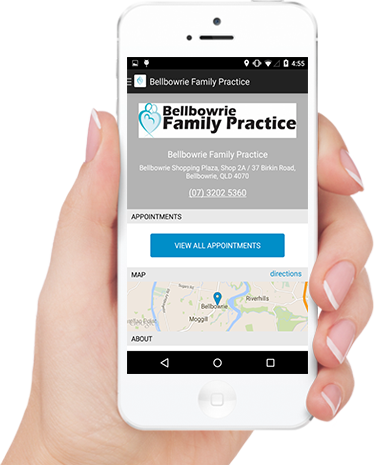 With a team of caring GP’s here to help you, turn to Bellbowrie Family Practice and book your next doctor’s appointment online or over the phone on (07) 3202 5360. 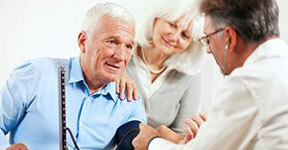 Our Bellbowrie medical practice offers bulk billing to patients who hold a valid Medicare card. Thanks to our bulk billing doctors, there will be no out-of-pocket expenses for you when having a standard GP appointment with us. 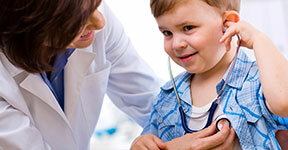 Our Bellbowrie doctors have experience treating children of all ages. We’re well-equipped to conduct kid’s health checks and ensure all childhood vaccinations and immunisations are up to date. Our men’s health clinic offers a comfortable environment for men to understand and talk openly and honestly about their health needs and the medical conditions that affect them. At Bellbowrie Family Practice, we can take care of all your women’s health needs and general medical concerns. From contraception and family planning to pap smears and breast scans, our team of Bellbowrie doctors have the experience and knowledge to help you in all of these areas. We have a bulk billing psychologist available at Bellbowrie Family Practice to help you with a variety of issues. This confidential counselling service is available for all ages. Come along to our clinic for a regular skin check. We provide caring, efficient and accessible service for early detection, diagnosis and treatment of skin cancer. Our skin checks are thorough, and we will ensure any problem spots are removed. At Bellbowrie Family Practice, we also have the resources and expertise to conduct minor surgeries and procedures such as skin excisions, wound closure and management. For patients who have been diagnosed with a chronic disease or terminal medical condition, we will manage the healthcare required. 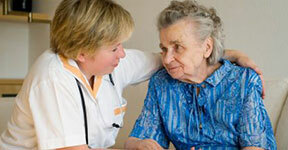 Chronic disease management also includes those requiring multidisciplinary care. We cover travel health and provide travel vaccinations to patients looking to head overseas on holiday. Whatever part of the world you plan to travel to, our Bellbowrie doctors can advise on and administer any travel vaccinations required. For patients who live within a reasonable distance of our practice and have a medical condition that prevents them from travelling, our doctors are available for home visits. After hours primary healthcare is also available where urgent care is required for a health condition that can’t wait until the next day for treatment. A full range of pre-employment medical assessments can also be delivered in our conveniently located Bellbowrie medical practice. Bellbowrie Family Practice was started by Dr Amer Nabi (MBBS, FRACGP) with the aim of providing excellent quality general practice care and linking with specialists, allied health and hospitals to provide a “Health Care Hub” for our patients. With more than 30 years of experience, Dr Amer Nabi is a caring professional who will make sure you are well looked after. As an accredited general practice with dedicated staff, we strive to achieve the highest standard of medical care for our patients. 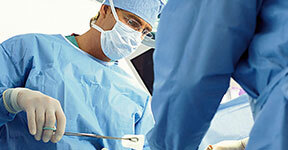 Our practice continues to grow to support the medical needs of our community. If you have any questions at all, please feel free to contact our friendly reception staff for bookings or more information. BFP accepts Medical students and graduates from all universities for clinical placement in General Practice. Our Bellbowrie medical practice continues to grow to ensure we can support our community effectively. So, if you are looking for a bulk billing doctor in Bellbowrie, Pullenvale, Moggill, Anstead, Mt Crosby, Karana Downs, Riverview, Kenmore, Karalee, Riverhills, Barellan Point, Pinjarra Hills, Jindalee or surrounding areas, turn to our Bellbowrie Family Practice. If you have any questions at all, please feel free to contact our friendly reception staff on (07) 3202 5360 for bookings or more information.